” What do Elephants Dream? ” is an original watercolor painted in the realist tradition. There were many tulips around our home during Mother’s Day and became the inspiration for this painting. I enjoy manipulating scale to achieve my concept. 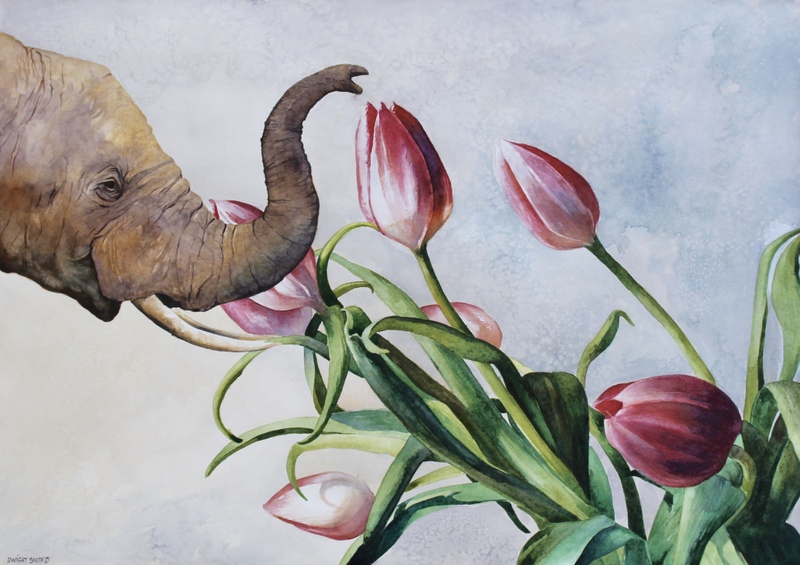 So flowers can be larger than a elephant in this dream setting. Salt sprinkled on wet watercolor paint was used to create effects. This watercolor and others are on view and available at UGallery.com and 1stdibs.com.